So writes Richard (Rick) Mills (www.AheadoftheHerd.com) in edited excerpts from his original article* entitled Golden Points To Ponder. [As the graph to the right shows] the gold mining industry needs to discover 90 million ounces of gold every year just to stay even but despite increased exploration expenditures, a record US$8b in 2011, and an increasing gold price, gold ounce discovery is not keeping up to the rate needed to replace mined ounces. The Metals Economic Group estimates that the 99 significant discoveries (defined as greater than 2 mil oz) found between 1997 and 2011 replaced only 56% of the gold mined during that same period. According to the Thomson Reuters GFMS’s Gold Survey 2012 global gold mine production was flat (output rose 0.1% to 1,366 metric tons) in the first half of 2012. [As can be seen in the chart below] the average grade of ore processed globally dropped 23% from 2005 through the end of last year and is forecast to decline another 4% in 2012. The long term gold price chart from the World Gold Council [below] shows gold has been in consolidation since late 2011. Capital inputs account for about 50% of the total costs in mining production – the average for the economy as a whole is 21%. Obviously many of the costs, once incurred, cannot be recovered by sale or transfer of the fixed assets. 1. [As the charts show below] mining has a large, up front layout of construction capital called Capex – the costs associated with the development and construction of open-pit and underground mines. There are often other company built infrastructure assets like roads, railways, bridges, power generating stations and seaports to facilitate extraction and shipping of ore and concentrate. 2. There is a continuously rising Opex, or operational expenditures [as the graph below shows]. These are the day to day costs of operation; rubber tires, wages, fuel, camp costs for employees etc. Since 2006 the major gold producers have spent 40% of their entire market capitalization building new mines. As you can see in the chart below it isn’t going to get any cheaper – major miners will need to spend 60% of their market capitalization building new mines in order to sustain the same level of production going forward. Producers are not able to replace their reserves because there’s a lack of discovery, few large high grade deposits are being discovered and most of those that have been discovered aren’t owned by producers. The junior exploration sector is presently in the midst of one of the worst financing environments ever experienced by the sector. One market analyst recently said that out of the 1800 companies he tracks, as many as 524 have less than $200,000 in working capital. With today’s extremely low share prices, financing – if money is even available – is going to massively dilute shareholders forcing a tremendous number of future rollbacks. A Junior exploration company’s place in the food chain is to acquire and explore properties. Their job is to make the discoveries that the mid-tiers and majors takeover and turn into mines. Junior exploration companies own the majority of the world’s future gold mines. The juniors who do have money for exploration and development of their properties, and those few who can get financed, will be well rewarded in the market place for discoveries and bringing the lowest cost projects to production. [That being said,] the outlook for many juniors in 2013 is grim; many will not survive. Expect rollbacks, property sales for cash, shares for debt and mergers and acquisitions (M&A) to become the norm. 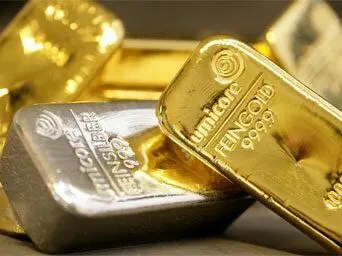 Exploration will drop, the discovery of the future supply of gold, silver and other metals will be put on hold. [Nevertheless,] this author believes that there is exceptional…value in junior companies who already own quality assets in safe stable countries that the world’s mining companies increasingly, desperately need. 5. Gold & Silver Miners: What’s the Best Time to Invest in the Producers – and in the Juniors? 8. Gold Bugs: Here’s How to Make the Most of the Continuing Bull Market in Gold! 9. Gold & Silver Warrants: What are They? Why Own Them? How are They Bought & Sold? 15. Why Invest in Junior Miners? Previous 2013 Forecasts: Do These 10 Analysts Know Something We Don't?